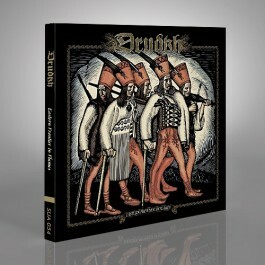 'Eastern Frontier in Flames' is the definitive collection of the long out-of-print and sought-after DRUDKH EP's and split releases. 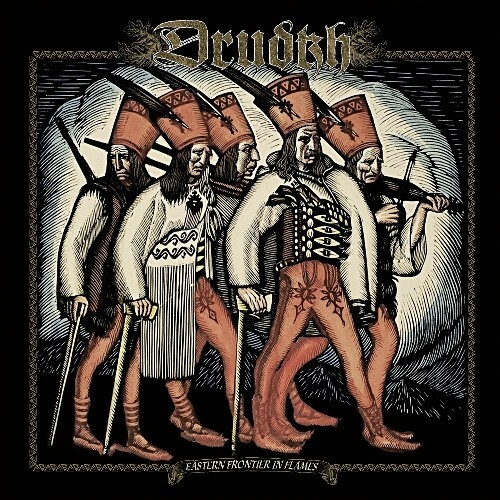 'Eastern Frontier...' combines 2007's 'Anti-Urban' EP and the MASTER'S HAMMER and SACRILEGIUM covers on 2010's 'Slavonic Chronicles’ with the recent half of their vinyl-only collaboration with WINTERFYLLETH. 'Eastern Frontier in Flames' is an integral piece to any DRUDKH fan's collection as their storied full-lengths.